Recognize the woman in the photo? No worries. 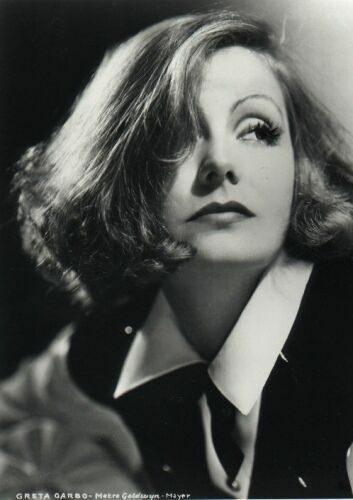 It’s Greta Garbo, the Swedish actress, and international star, from the silent movie era. She was nominated for an Academy Award four times; and won the New York Film Critics Circle Award for Best Actress for Anna Karenina and, also, for Camille. The American Film Institute ranked her fifth on their list of the greatest female stars of all time, after Katherine Hepburn, Bette Davis, Audrey Hepburn and Ingrid Bergman. She was only 35 when she retired, choosing to live the rest of her life out of the public eye. In fact, she went out of her way to avoid publicity. She’s probably best known for this famous line from the movie, Grand Hotel: “I want to be alone”. Like yesterday. But first, the back story. I met a friend for brunch. When we were done, she asked what I had planned for the rest of the day. I’ve been out of eye shadow and mascara for a while. I’m embarrassed to admit I’ve been literally scraping tiny particles of shadow out of the corners of its little container. And I’ve been adding the odd droplet of water to my mascara, too. Uh, uh. Not so fast. I know. I know. The last of the torn bits of Christmas wrap have finally been vacuumed away. The rings left on tables, by damp glasses, are all wiped up. The turkey’s just about gone, but the soup’s done; and ready for enjoying. Smelled good, too, as it was boiling away last night, if you say so yourself. Now you’re starting to ‘consolidate’ all the left over baked goods, into fewer tins. Not a moment too soon, because your jeans are already too tight at the waist. The dog’s so exhausted he’s fast asleep on your favourite chair, his new rawhide bone laying, discarded, beside him. The man of the house is snoring away on the couch. The kids are off skating or reading or playing with some of their new toys. Or maybe their old ones. You can never tell with kids. Old and forgotten one minute, a favourite again the next.